I've had this polish for what seems like forever, and not got around to wearing it (same goes for the two other polishes in this collection - which I still haven't worn). 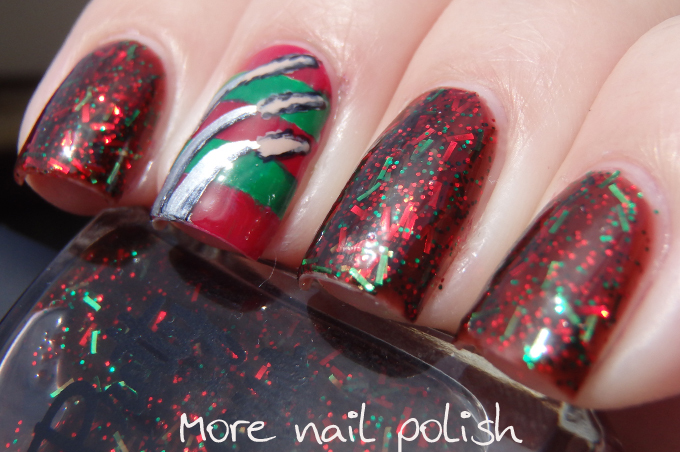 Pretty Serious Elm Street really is a perfect Halloween shade, but it also makes a damn fine Christmas polish with it's mix of red and green. 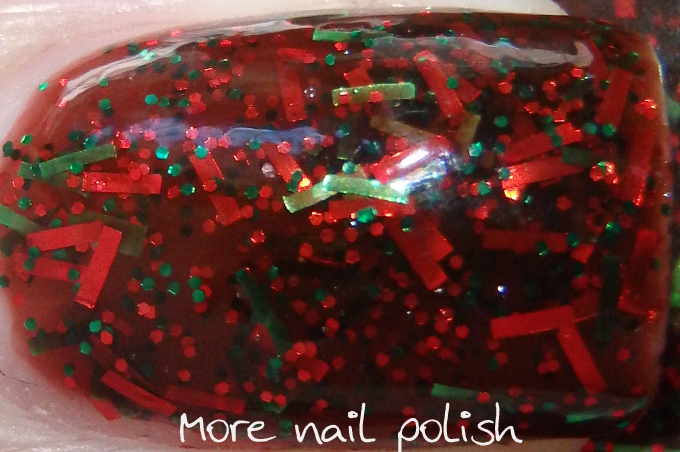 Pretty Serious Elm Street has a dark brownish red jelly base (think drying blood if you are wearing this for Halloween - or red wine if you are wearing it for Christmas) with small red and green hexes and shortish bar glitters. 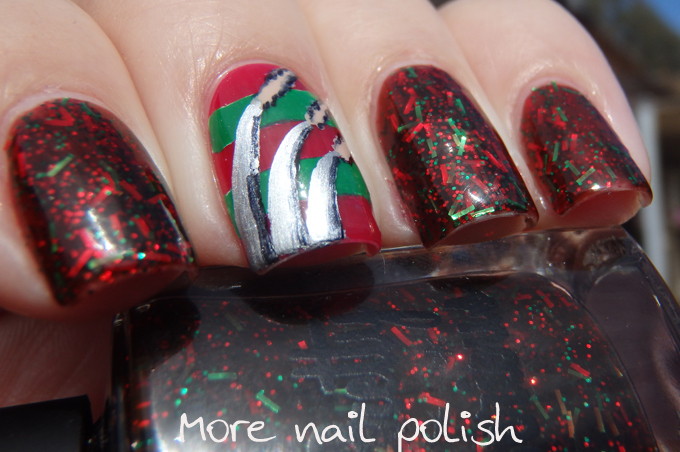 The inspiration for this polish of Freddy Kruger's striped jumper is interpreted beautifully. 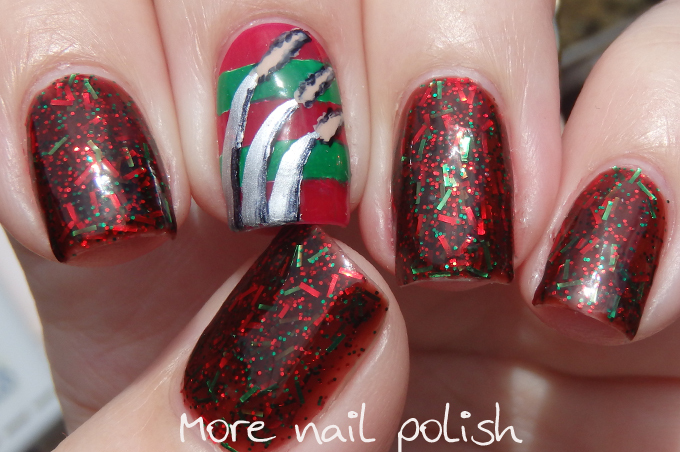 I did a little free hand nail art on my middle finger. 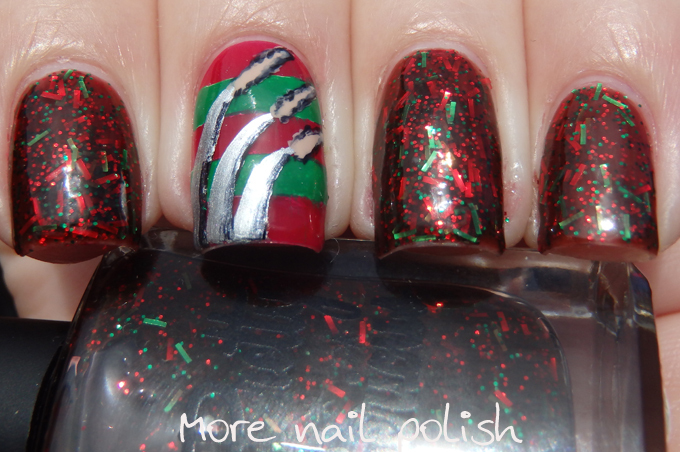 Some red and green strips for the jumper again, as well as some sharp metal claws ripping some holes the in shirt. My free hand is rather sucky, but it sort of looks like what I was going for.